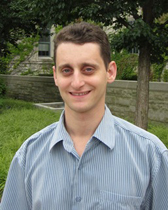 Professor Stern’s research is focused on the fundamental quantum interactions of photons with atoms, nano-scale structures, and magnetic materials. Stern’s research objective is to explore the novel optical, spin, and magnetic properties of integrated nano-scale and hybrid photonic systems, focusing on the quantum interactions and collective behavior between photons and low-dimensional electronic structures. Probing a variety of systems such as single-atomic layer materials and hybrid photonic devices with diverse experimental approaches such as time-resolved spectroscopy and single-photon detection, the Stern Group works to understand how light and matter interact on the smallest scales, with potential impact throughout the disciplines of photonics, quantum information, magnetism, materials science, and nanoscience. “Photonic ring resonator filters for astronomical OH suppression." “Valley-Polarized Exciton-Polaritons in a Monolayer Semiconductor." "Coherent optical non-reciporcity in axisymmetric resonators."